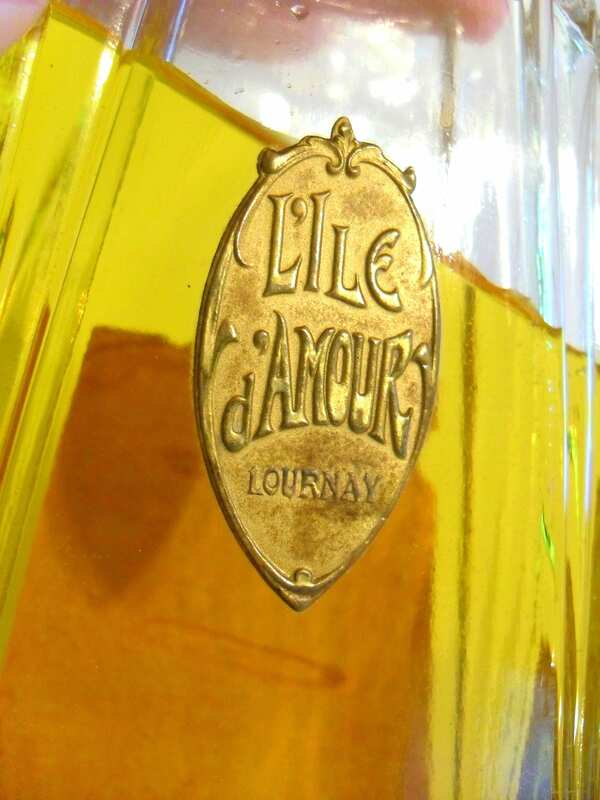 Antique Vintage 1920s L'Ile D'Amour by Parfumerie Lournay Empty Art Deco Glass Perfume Bottle. 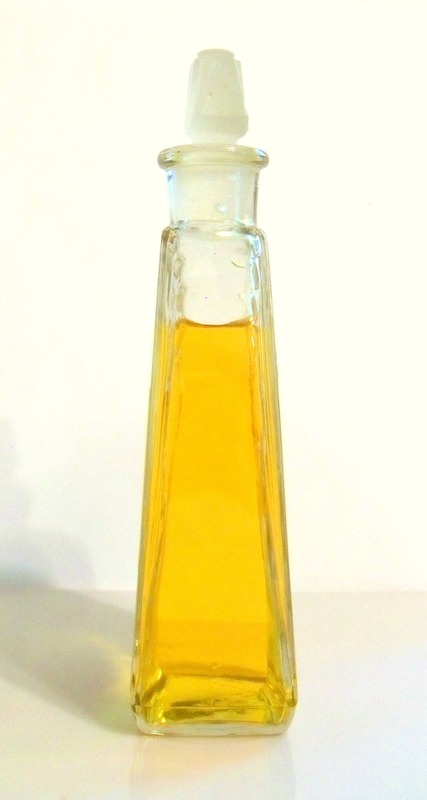 This bottle was empty of perfume, I cleaned it and added **colored water** to simulate perfume for the photos only. This will be discarded before shipping. Bottle stands 7.5" tall x 3.5" at it's widest x 1.75" thick at the base. 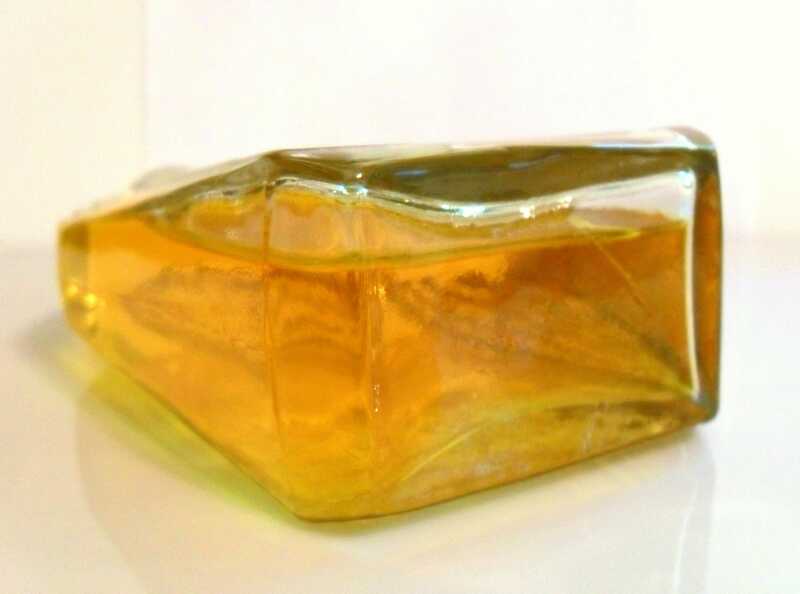 The bottle is made up of clear glass molded in an Art Deco shape. 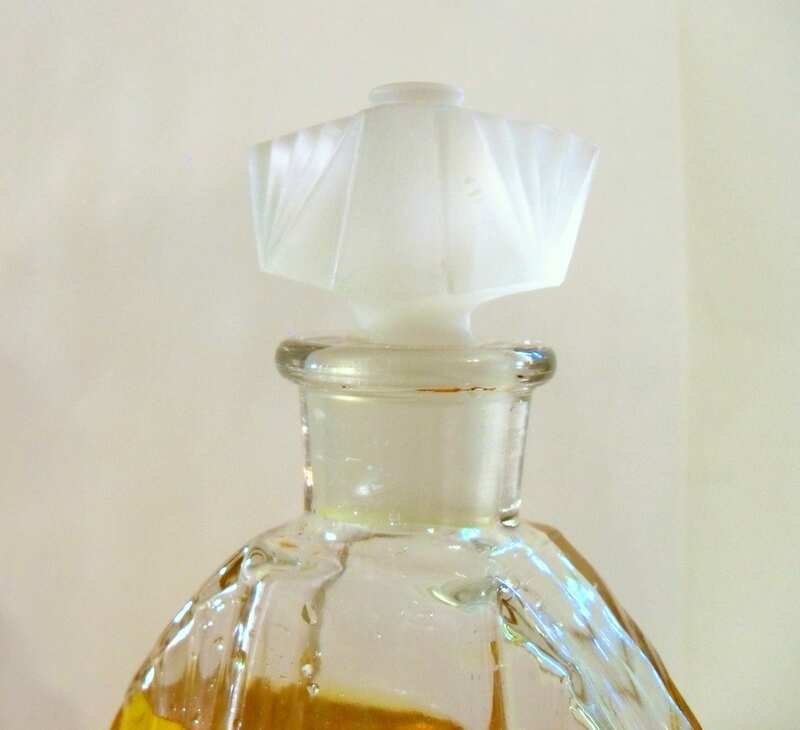 The stopper follows the Art Deco theme and is made up of molded, clear frosted glass. 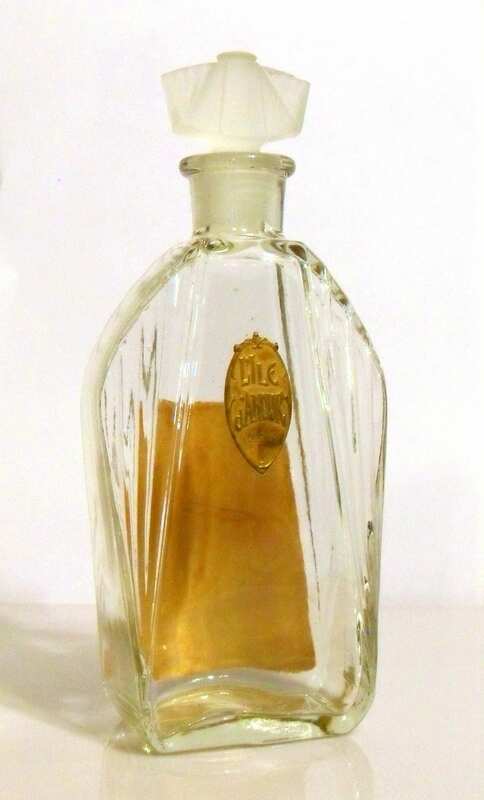 The front of the bottle has an embossed brass metal label, made by the Stanley Mfg Company who specialized in these high quality seals. 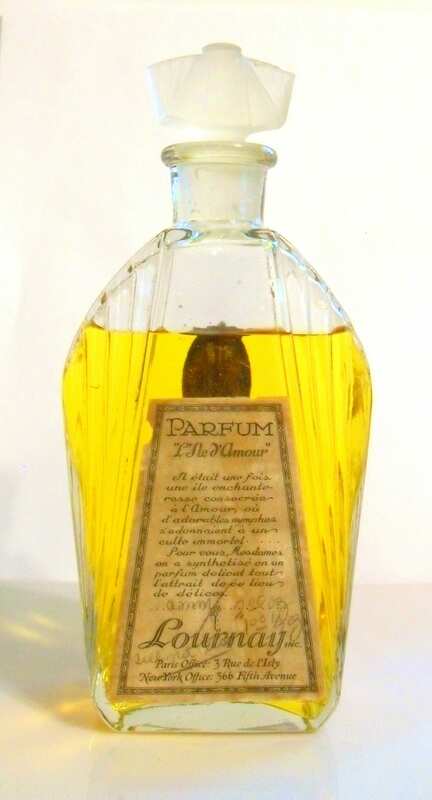 The back side has a paper label, which shows wear and overall staining. 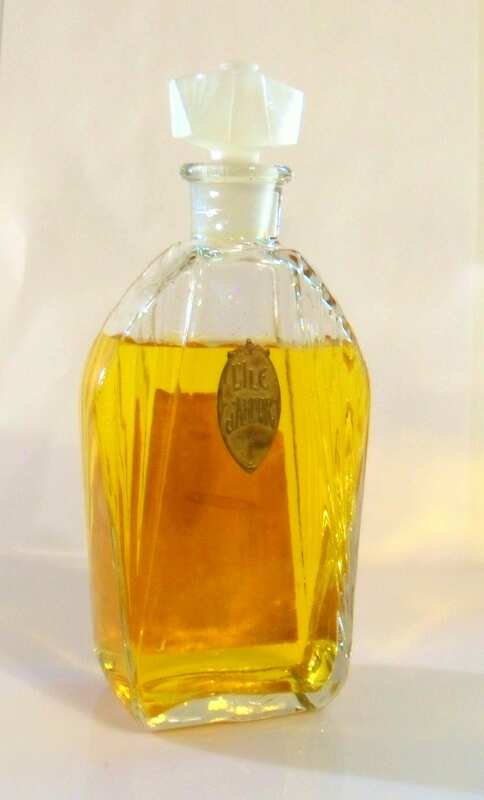 No chips or cracks, but there are bubbles in the glass in the bottle and stopper. 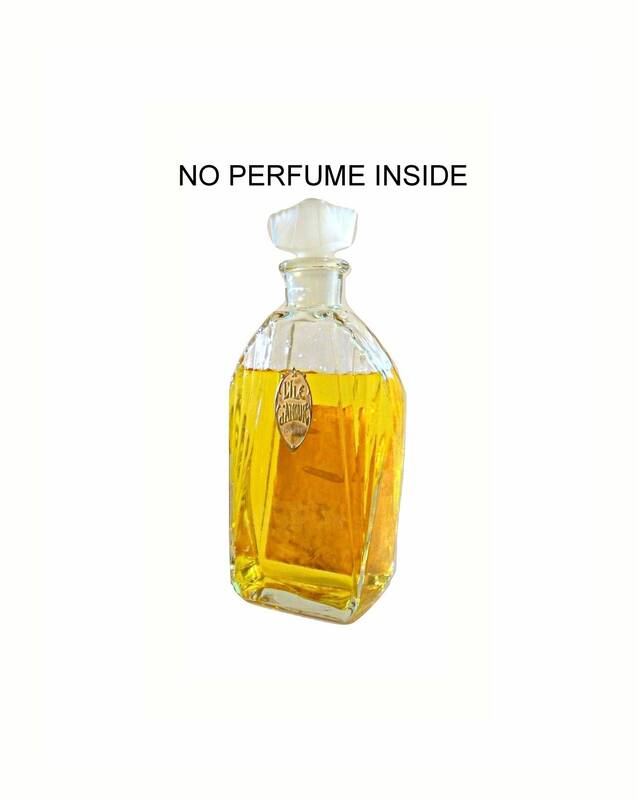 The interior of the bottle needs to be cleaned. 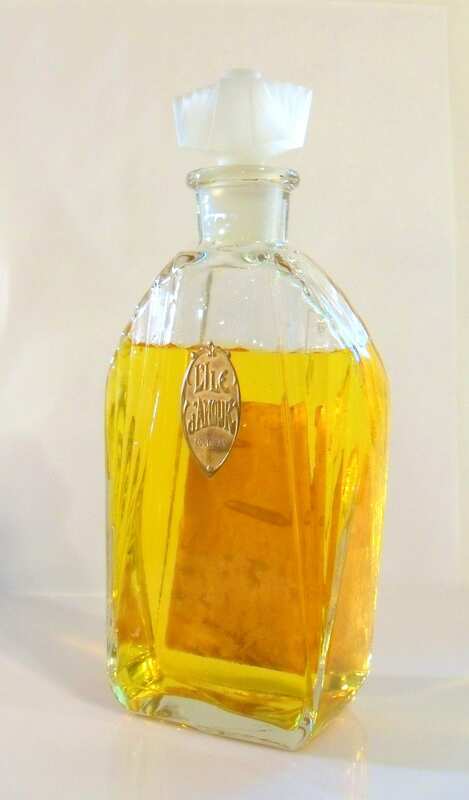 There are no markings on the bottle, but I believe it is American made. 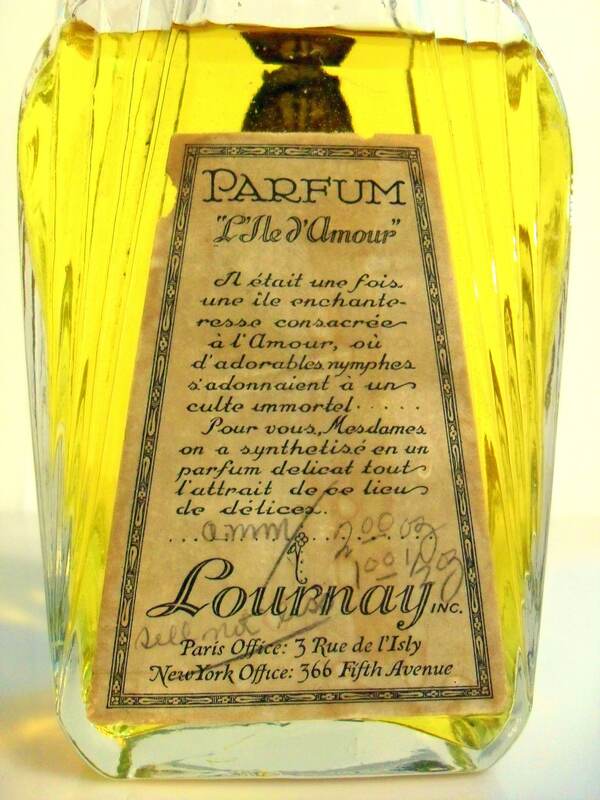 Launched in 1920 by Parfumerie Lournay, Inc.